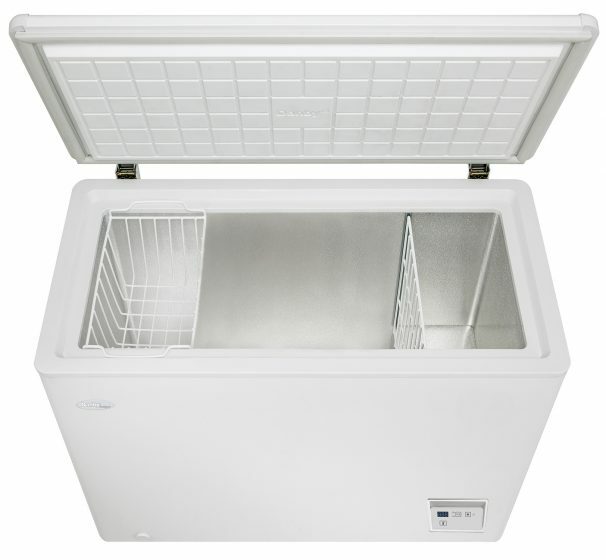 This Danby Designer chest freezer is one of the most popular on the market due to its excellent energy efficiency and superb temperature quality. 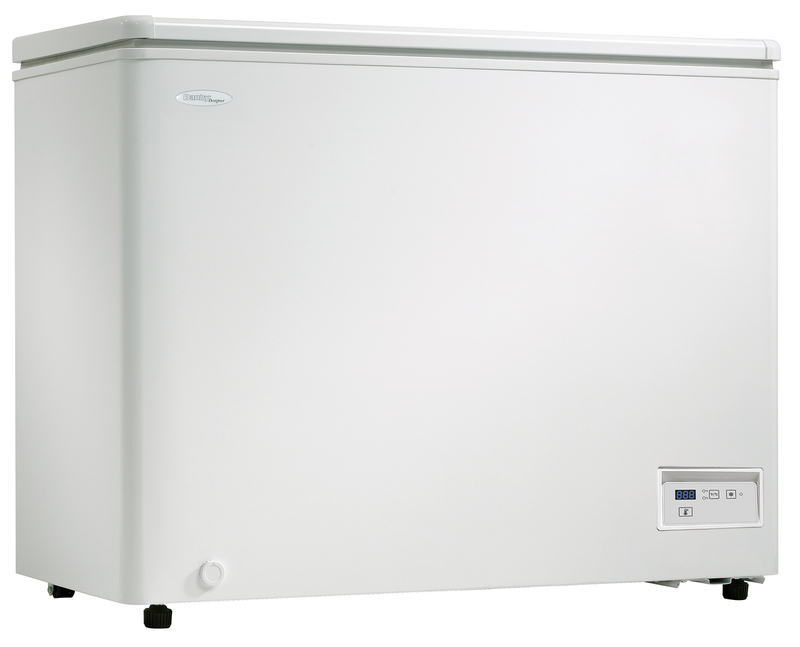 This chic unit comes with a generous 7.1 cubic feet (201 litres) of storage space making it the ideal freezer for families. Your electricity bills will be lighter due to the freezer’s efficient Energy Star rating and the foam-insulated cabinet and rounded lid make sure the warm outside air won’t invade the storage area. Keeping your most popular food items together and well organized is a breeze with an adjustable white wire basket and convenient compartment divider. 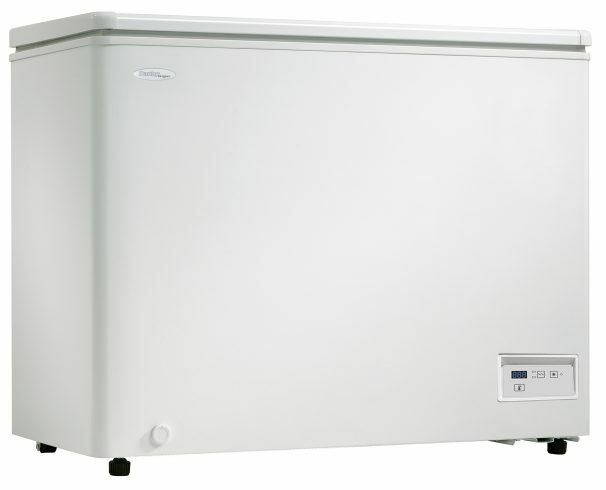 This dependable appliance features a manual defrost function and defrost drain along with a front-mounted, state-of-the-art mechanical thermostat. 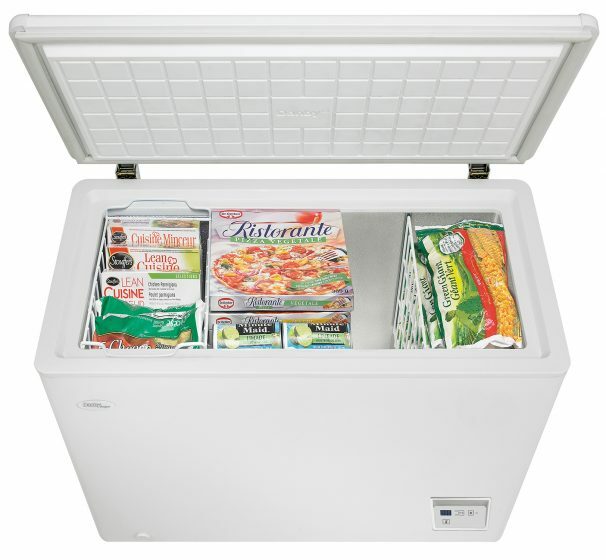 The smart interior liner is designed for quick and easy cleaning while the smooth back design allows you to place the freezer flush against a wall. This superb model also comes with an 18-month warranty on parts and labour.